I’d like to suggest a few good stores for folks who may be trying to work on their food storage. Surplus stores, online shops, and bulk food stores such as Honeyville Farms can be excellent for buying bulk quantities of MRE’s, rice, beans, etc. However, for the most part, you’ll want to incorporate as much of the normal foods you eat in your survival stash as possible (eat what you store, store what you eat).This could include canned meats, veggies, and fruit; dishes such as canned tamales, soup mixes, or ready meals like Hormel Compleats; or condiments like pickles, mustard, hot sauce, etc. You can find many of these items at your local grocery stores, often on sale. What I’d like to do here is break down a few of the main stores used by many preppers to build their stash. I’ve chosen four stores, which are somewhat similar in their offerings, and have at least some level of national coverage. They are all available in my area, but only one or two main be available in yours. If you’ve already been using some tried-and-true stores in your area, here’s a few more to consider. 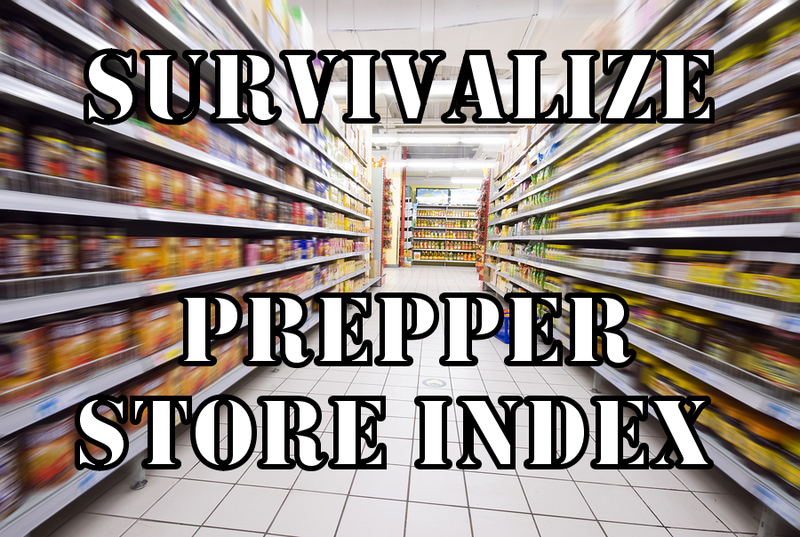 I’ll give a brief description of each store, and it’s selection of products of interest to preppers. For purposes of this post, I’ll stick to your ‘bug-in’ or ‘long-term’ or ‘shelter-in-place’ food storage—not the food that goes in your 72 hour or bug out bag. Please note-this index is not meant to promote one store over another. I am not affiliated or paid by any of these stores. It is merely some useful information to keep in mind when you’re out shopping for your stash. more or less in the quantity a restaurant or business might need things. 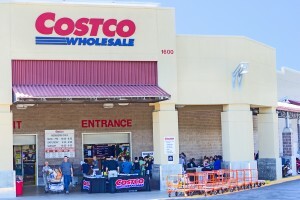 In recent years, Costco has added items to its inventory which increase its appeal to preppers. These include Mountain House freeze dried meals, and a water storage barrel kit. Cases of canned food, water, and large (50lb) bags of rice and beans are available for purchase. Price-wise, Costco is very reasonable. However, keep in mind that, although buying in bulk drops the unit price, the upfront cost to buy, say, a case of 12 cans of beans will be higher, than buying 2 cans at the grocery store. 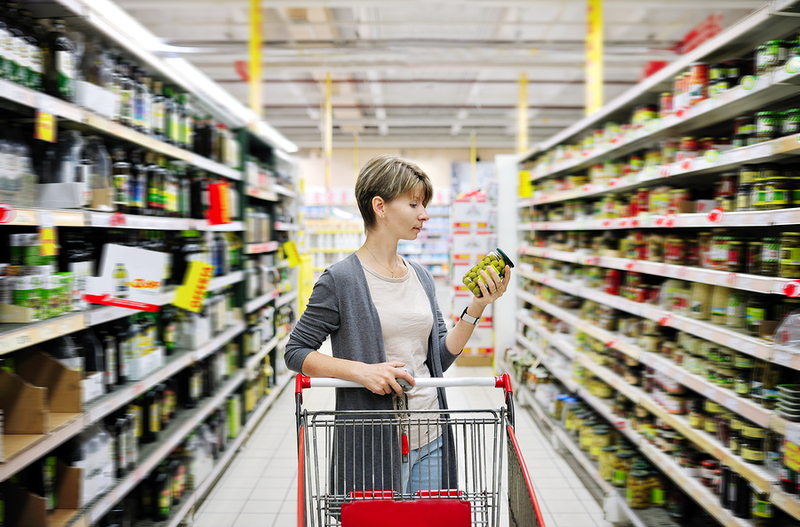 Unless you have massive resources to commit all at once, pace yourself when buying in bulk. Pick up a case of beans one week, a case of water the next, and so forth. 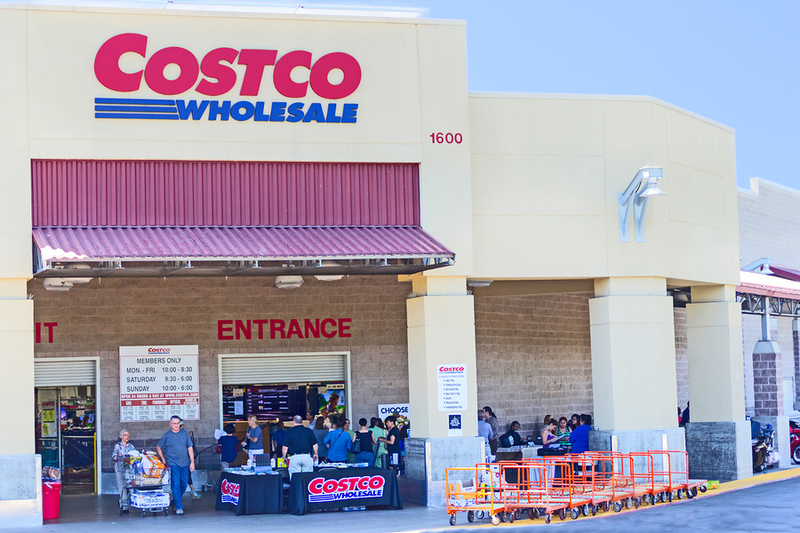 Another thing to remember with Costco is that one needs a yearly membership to shop there; that will add to your overall cost. As far as selection, Costco ranks very highly. Hundreds of name-brand canned items are available, as well as many options for water. Several bagged varieties of both rice and beans are available. They sell bulk pet food, making it easier to prep for your pet’s needs too. Apart from food storage, you can also buy medications, hygiene items, motor oil, quality rugged clothing (for your bug-out bag), and more in bulk. ammo to food to propane, and more. 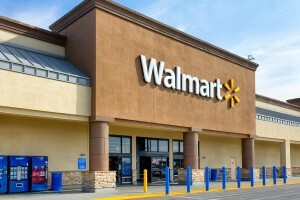 The main niche that Walmart fills is that one can buy smaller amounts of ammunition and food storage items cheaply. For those of us who are VERY low budget preppers, Walmart offers a chance to buy small quantities of canned food, ammo, water, and various camping supplies, at a price you can afford RIGHT NOW. Although buying in bulk may be cheaper in the long run, the large up-front cost may put it out of reach for some folks. I would strongly recommend using Walmart to pick up an item or two a week, like a few packs of tuna, waterproof matches, etc, if you are on a low-budget prepper plan. Their selection of quality brands has also increased over the past few years (brands like Sawyer, Blackhawk!, Celox and more). Walmart also has their own version of a Costco-style store, called Sam’s Club. These are often located in the proximity of a Walmart. You must pay for a yearly membership to shop there, but they have some utility for buying food and water in bulk, similar to Costco. WINCO—Some of you may not have a Winco near you; some may have a similar store of a different brand. Winco is a discount grocery store that came to my area about four years ago. 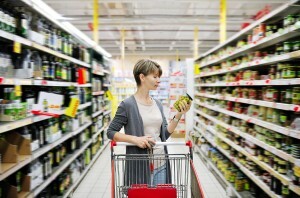 Price-wise, Winco is VERY cheap, particularly for canned foods. There is also has a large section of the store where shoppers can buy anything from rice to candy by the pound. The store sells 50 pound plastic storage containers, lids, desiccants, and water storage jugs. 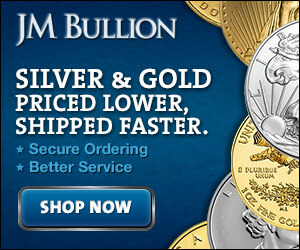 If you’re looking to stock up on food storage for a year, this is a fantastic place to do it. During the summer/early fall months, Winco carries a fairly comprehensive assortment of Mountain House freeze-dried foods in their seasonal section. I have picked up a few bags at nearly half-price on winter clearance. Cases of water are normally very cheap, and bulk matches are usually available as well. If you’ve got one in your area, Winco is an excellent place to pick up some food storage basics! supplies. Back when my family laid in our supply for the ‘Y2K’ end-of-the-world scare, we bought a large amount of our food-grade, plastic storage containers at Smart and Final. They have some container sizes which are in-between the small ‘flour jar’ size, and the 50lb buckets. These ‘in-betweeners’ are great for storing a non-staple item, like grain you’ve ground and are preparing to use. 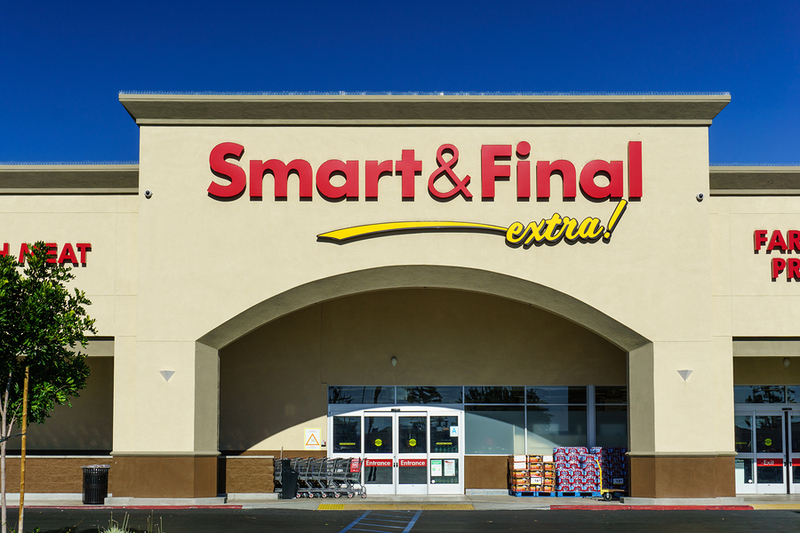 Smart and Final sells in quantities that cater mostly to restaurants and small businesses, so it’s more like Costco in that respect. It can be a bit pricey here, but if you’ve got one close by, it’s more than likely a better deal than driving a long distance to some of the other places mentioned. Selection is great; in addition to the aforementioned storage options, you can get water, canned food, staples like rice, and even cleaning supplies. Yes, cleaning supplies; hygiene will be even more important in a survival situation than it is in normal life. For safe food handling, you can find all manner of restaurant-quality general kitchen supplies. All in all, Smart and Final is worth checking out for your prepping needs. Make it a goal this New Year to work on any holes in your food storage. Once you’ve found those holes, check out some of these places I’ve discussed to really get your long term supply squared away. Don’t wait until the night before the apocalypse to run to Walmart for water and ramen noodles!